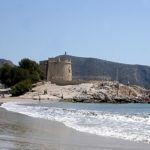 Tips for a cheap Car hire in Moraira in Spain. Moraira is commonly called Spaniard Saint Tropes. The palm trees, the beaches are inviting and the restaurants are many. There are many good reasons to travel to Moraira, whether you are on a day trip or choose to live in the city. Many people need car hire during their stay, and we will in this article give you great tips about how to get cheap car rental in Moraira. Moraira is located in the middle of Valencia and Alicante. If you drive from Marina Baja, you can choose the coastal road from Calpe. Here are charming little places in a row. The place is characterized by beautiful sandy beaches and sheltered little spots, an exclusive marina, an excellent selection of excellent restaurants and bars, as well as many shops. Moraira is located about 30 kilometers from Benidorm. You can see the Calpe mountain in the horizon if the viewing angle is correct and it is easy to find through the A-7 or N-333 motorway. With affordable car hire, you and your family can experience more, without having to be dependent on alternative transportation. Good tips about car rental in Moraira. They will help you to find a car hire in Moraira, and ensure that everything runs smoothly, and you can focus on enjoying your holiday. Here comes 15 tips for affordable car hire in Moraira. It is always best to book you car hire as early as possible before you arrive in Moraira. Are you waiting to book your car until you have landed at the Alicante or Valencia Airport, prices will in most cases be much higher, and there is less cars to choose from. A good rule is to book you car when you know when you are going to Moraira. #2 What kind of car should I choose? The smallest cars are ordered first, and this is because most people believe that the smallest cars are the cheapest. What many people don`t know is that a medium-sized car can be as cheap as a small car. Remember that the whole family needs to sit well without having all the luggage on their laps. #3 Where is the cheapest place to book car hire in Moraira? In most cases it is cheapest to book car hire on internet within you arrive to Moraira. You can book through the search engine below on this page or use other simular services. These services compare prices from leading car rental providers in Moraira, to give you the best price on your car rental in one simple search. #4 Where do i pick up the car? The easiest is to pick up your car at the airport in Alicante or Valencia. Then you don`t need alternative transportation to and from the airport, and in most cases it is cheaper than using a local supplier in Moraira. #5 Childseats, GPS ot other exstra equipment? GPS, child seats and other extra equipment is expensive to rent. Often it will cost more to rent it than to buy it. 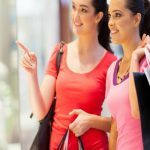 We recommend to take it with your from home, or buy it yourself at one of the shopping centers in Moraira, so you can keep the equipment for the next trip. #6 Do you need a additional driver? 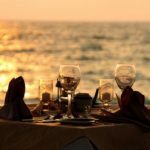 If you want to share the driving during the holiday in Moraira, you need to keep in mind two things. One is that it comes with an additional cost per day per driver, and the second is that this person must be over 25 years old and come with you when you pick up the vehicle. 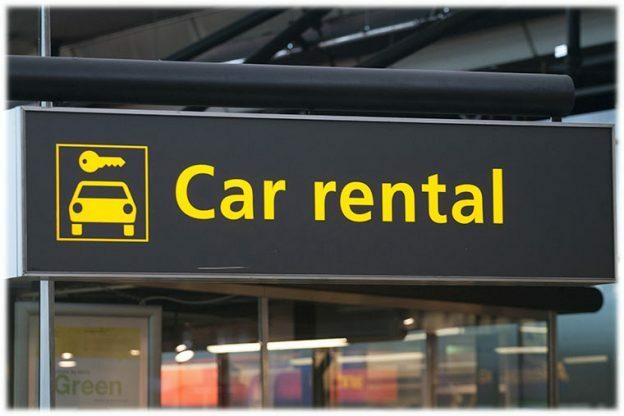 After you have booked your rental car it is important that you print your confirmation email and read it carefully so that all information is correct. It is much easier to change your order early than to wait until you collect the car in Moraira. If you use your credit card when you rent a car in Moraira, you buy additional security. The law gives you the right to complain to the creditor, if the car rental company is not giving you what has been agreed. You must first attempt to resolve the matter, but then you can go to your bank. If your appeal is rejected by the bank, you can complain to the Financial Services Complaints Board. You can also complain to the European Consumer Centre if you have bought the service in an EU or EEA country. Check what you have before ordering. Many are offered supplementary insurance when they pick up the car. They often cost more than the actual rent. This is avoided by checking your own insurance before traveling. Travel insurance usually covers theft of the car, but no damage to the car itself. Check with your insurance company if the accident insurance covers your driving abroad. #8 What do i have to bring when i pick up my rental car? Spain has a completely different driving culture than in many countries in Europe. And on unfamiliar roads in a another country, it is important to take it easy. Spaniards are known for a more aggressive driving style. Take it easy so you avoid any problems. Toll roads are called ‘carretera de peaje’ or ‘carretera de cuota’and sometimes autopista but the most common indication that you have to pay a toll is simply the word ‘peaje’. On maps and road signs, all toll roads have to include a letter P after the road type so whilst A-33 is free, AP-34 would be a toll road. You can also be fined when filling up at the petrol station. If you are smoking, using a mobile or have left the radio or lights on, you can be fined up to 200 Euros and have 3 points added to your license. Upon return of the vehicle, it is important to do the same as when you got the car. Take pictures and video of the car so you can document the condition of the car when you are returning it. A while after you get home from your holiday in Moraira, it is important to check that you have regained any deposit, that the correct rent amount is charged from your account, and that everything is as agreed on the booking confirmation. 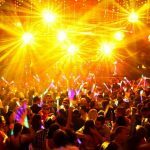 This entry was posted in Car hire Moraira, Moraira and tagged car hire, cheap, moraira, tips on April 17, 2019 by webmaster.